But the group’s co-leaders say that fighting to protect the region’s “most vulnerable” from cuts has strengthened members’ resolve since then. Graham Leadbitter, who was re-elected to the Elgin City South ward, and Fochabers Lhanbryde member Shona Morrison decided to jointly helm the group last spring. 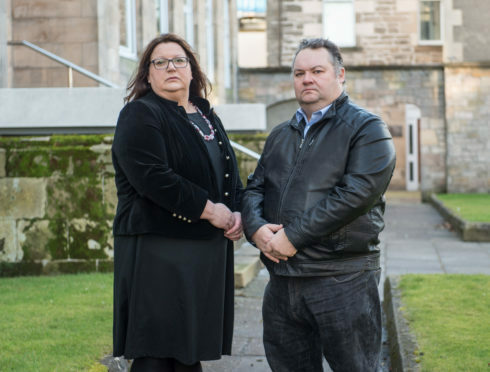 Mr Leadbitter said: “As the main opposition in Moray Council we have been pro-actively challenging the policies of the Tory-Independent administration that are having disproportionate impacts on Moray’s most vulnerable families and individuals. “I am hugely pleased with the way our new SNP group has worked together as a team. Mrs Morrison added: “The biggest frustration for us in opposition is trying to prevent the regressive policies being followed by the administration, particularly on education issues.